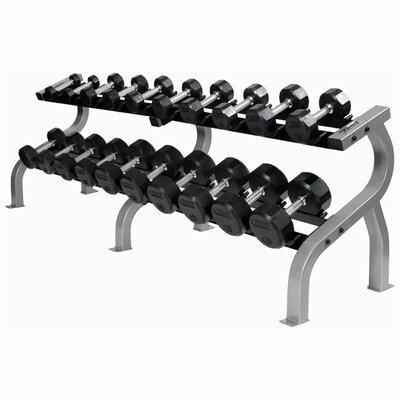 This set includes a pair each of 5-100lb Iron Pro-Style Hammertone Dumbbells with Rubber Endcaps and Chrome Straight Handles in 5lb increments. Our Troy Iron Pro-Style Hammertone Dumbbell Set 5-100 HFD-R are all pre-assembled to ensure that they meet the standards required in heavy used commercial applications. All of our Pro-Style dumbbells use solid steel bolt design; bigger, longer and stronger than the competition. These dumbbells consist of straight handles that feature special deep set knurling for functional performance and our top of the line Troy high grade Hammertone-gray plates. The rubber or chrome encased endcaps include the Troy name and numbers for easy identification. All of Troy Barbell's pro style dumbbells use solid steel bolt design; bigger, longer and stronger than the competition. These dumbbells consist of straight handles that feature special deep set knurling for functional performance and top-of-the-line Troy high grade hammertone iron plates. The rubber endcaps include the Troy name and numbers for easy identification. In addition, you can choose between Rubber or black rubber endcaps. The endcaps are designed to offer added protection for the weight plates, plus, greatly enhance the look of the dumbbells. When it comes to traditional and functional exercise versatility, bio-mechanical correctness and price, few other fitness products compare with dumbbells. There is good reason why dumbbells have been the fitness product of choice for decades and that is not changing anytime soon. Home and commercial dumbbells offer a compact solution for full body workouts. Just about every muscle group can be worked in a small, compact user space. Combined with a simple flat bench, the exercise choices become even greater in number. In regards to bio-mechanics, the user dictates the range of motion, unlike weight machines and home gyms. This helps alleviate stress on joints and potential long-term overuse injuries. In terms of price, when compared to expensive weight machines and gyms, dumbbells are relatively very affordable, especially when comparing the overall exercise benefits. 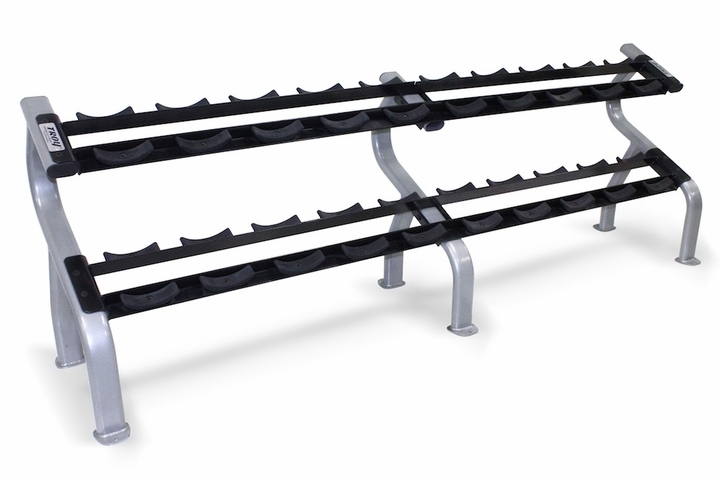 In addition, they are maintenance-free with no moving parts creating a long lasting exercise tool for your home or commercial gym. Call 1-800-875-9145 to speak with one of our fitness agents with any questions you may have about the Troy Iron Pro-Style Hammertone Dumbbell Set 5-100 HFD-R. Don't hestitate order your Troy Iron Pro-Style Hammertone Dumbbell Set 5-100 HFD-R from FitnessZone.com today! 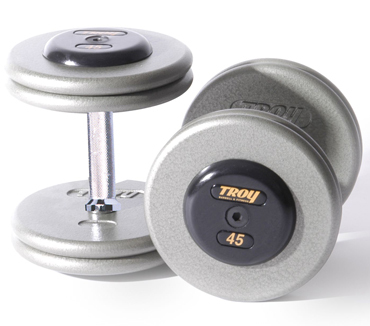 Dumbbell Sizes Included in Troy Pro-Style Rubber Endcap Dumbbell Set (pairs): 20 Pairs of dumbbells from 5 - 100 LBS in 5 LB increments. Troy Barbell Lifetime Factory Warranty. The warranty applies to the original owner for in-home use only. Order your Troy Iron Pro-Style Hammertone Dumbbell Set 5-100 HFD-R from FitnessZone.com today!